Denisa Ionescu is Secretary General of ENNA, the European Network of National Civil Society Associations. With over 13 years experience in the third sector, Denisa’s expertise ranges from capacity building for CSOs to policy and research roles. 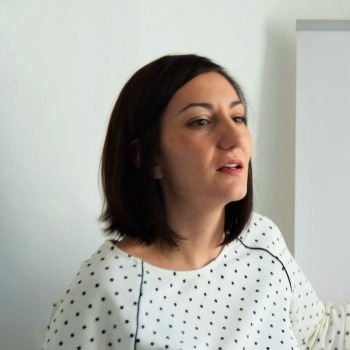 Before joining ENNA in 2014, she helped strengthening the sector in Romania, working with organizations such as Civil Society Development Foundation and Open Society Foundation. Denisa founded the youth A.R.T. Fusion organization in Romania, which enriched her skills and know-how with grassroots experiences and perspectives. At ENNA, she is ensuring the operational activities are efficiently heading towards meeting the organisations mission: to build capacity and share expertise of civil society by developing skills and practice, undertaking comparative research and documenting innovation in support of the sector, as well as assisting in the development of new national associations in countries where they are not yet coagulated.